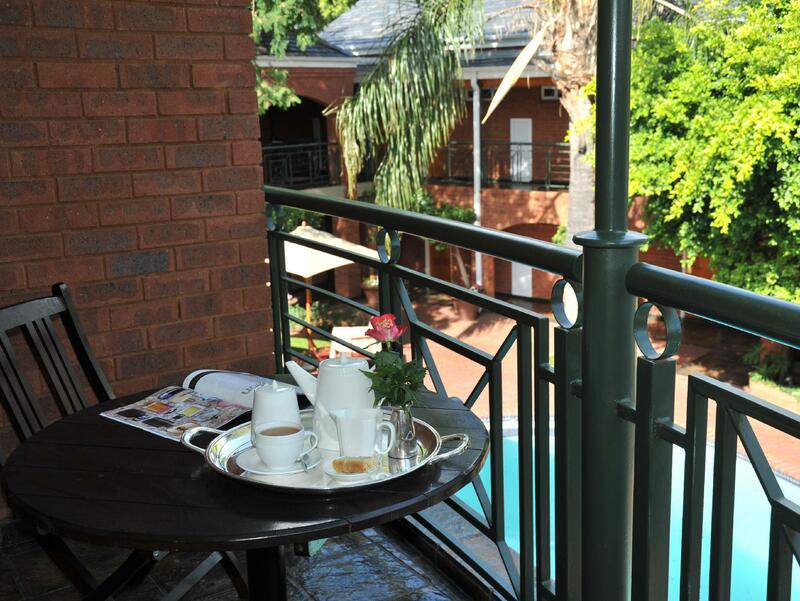 ﻿ Faircity Falstaff Hotel Johannesburg. JIMAT di Agoda.com! Ada soalan mengenai Faircity Falstaff Hotel? Terletak di tengah-tengah Sandton, Faircity Falstaff Hotel merupakan tempat yang sesuai untuk meneroka Johannesburg. Hanya 2.0 Km dari pusat bandar, lokasi strategik hotel memastikan tetamu boleh ke mana-mana sahaja dengan cepat dan mudah ke tempat-tempat tarikan. Pelawat yang datang ke hotel boleh melawat tarikan utama di bandar ini seperti: Gim Virgin Active Sandton, Klinik Medi Sandton, Gereja Ortodok Greek St. Athanasios. Faircity Falstaff Hotel juga menawarkan banyak kemudahan untuk memperkayakan penginapan anda di Johannesburg. Hotel ini menawarkan pelbagai kemudahan di lokasi untuk memuaskan hati tetamu termasuk yang arif. Alami bilik dengan kemudahan berkualiti tinggi sepanjang anda menginap di sini. Sebahagian bilik menyediakan televisyen skrin rata, karpet, kopi segera percuma, teh percuma, linen untuk memudahkan tetamu berehat dan kembali bertenaga. Hotel ini menawarkan banyak peluang rekreasi yang unik seperti pusat kecergasan, padang golf (dalam jarak 3 km) , kolam renang terbuka, taman. Temui gabungan yang menarik antara perkhidmatan profesional dan pelbagai kemudahan yang ada di Faircity Falstaff Hotel. Kanak-kanak akan dikenakan bayaran sebanyak ZAR 195 semalam untuk penginapan. 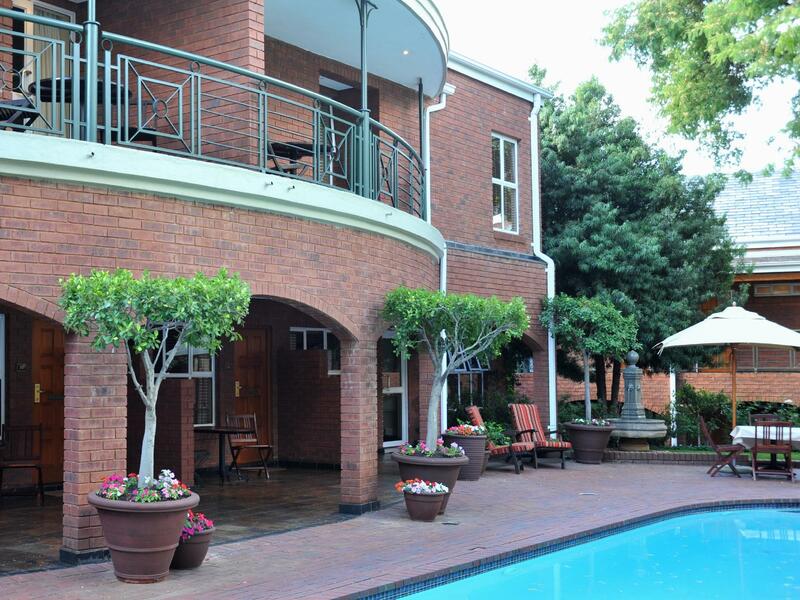 My friends and I have decided to stay at Faircity Falstaff hotel during our time in Johannesburg. The staff was extremely helpful and attentive, the overall vibe of the place was pleasant and relaxing and I believe the hotel offers a great value for your money. We were leaving the place with a sad feeling and definitely will be coming back again! The Falstaff is a cosy boutique hotel. The staff are all amazing and very helpful and friendly. It is centrally located in Morningside and offers free shuttle service within a 5klm radius. Rates include a full on buffet breakfast with a wide selection to choose from. The rooms are comfortable with all the amenities. I was very pleased with the facility but not the location. The taxi drivers had a hard time finding it and I could not get to even local shopping without a taxi. The location is probably safe but there is nothing around to cause you to leave the facility. 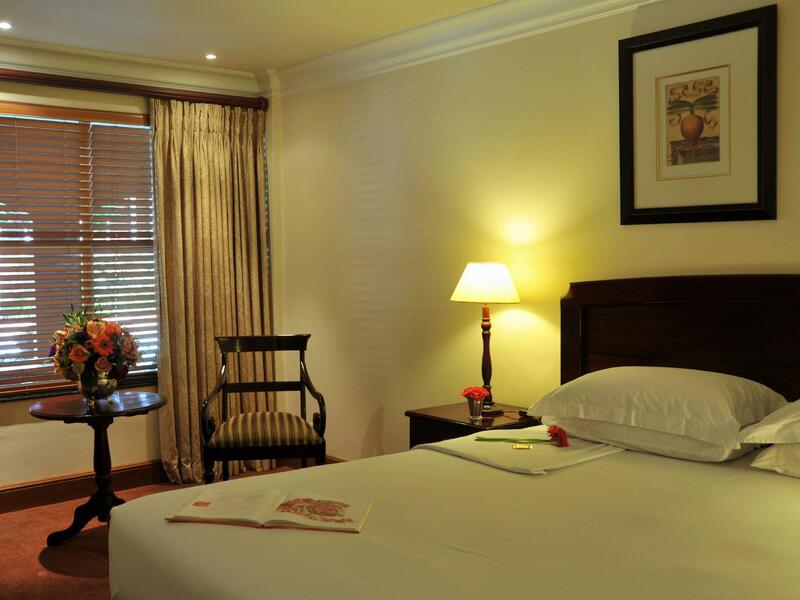 This is an excellent boutique hotel that has a very pleasant ambience both outside (in the quadrangle) as well as within the room. Staff are friendly and helpful and the place is in a good neighbourhood. The breakfast spread is pretty good, and its nice that a restaurant is available on premise. They offer free shuttle service within the Sandton area, and respond to your call for pick up quite well, as long as the shuttle is available nearby. Overall, its excellent value for your money, and you will be more than satisfied. Little disappointed for a 4 star hotel. Bedroom carpet was very dirty. Shower door had seen better days . There was no bulb in the bedside lamp, which I had to ask to be added. Little things that were just not there. More of a lower 3 star hotel . We were given substandard pillows in our room. I showed it to the duty manager the next morning. I asked her to have the GM of the hotel contact me and they never did. Very disappointed, especially since the duty manager also agreed that the pillow was in terrible shape.....won't be going back! What a surprise! I chose this hotel above one closer to where I wanted to be because of the photo of the room. It was a risk I took as the photos are always a little photoshopped, but the room in the other hotel did not look as nice. To my surprise the room was excellent. I have stayed in other hotels supposed to be better hotels (I will not name names) with rooms far worse. The bathroom has been totally done over and is beautiful. The staff are most helpful and the food is very good. I wish I booked an extra day just to enjoy this little hotel. The delicious breakfast. Friendly staff, that made our stay pleasant. The excellent service by staff. Nice, clean rooms. Perfect service. It was pleasant experience. I recommend this hotel to others. A bit difficult to locate. Needs sign directions from Rivonia Road.